Believe it or not, Dreamworks Animation actually has more on its plate than just a ridiculous number of sequels. It was just last week that company chief Jeffrey Katzenberg was quoted saying that there will be more Kung Fu Panda and How To Train Your Dragon movies than you can shake a stick at, but apparently they are still making movies that aren't part of franchises as well. Coming Soon is reporting that the animation studio is currently developing Me And My Shadow for a March 2013 release. Directed by Mark Dindal (Chicken Little, The Emperor's New Groove) the studio purports that they will be using a "groundbreaking" mix of both CGI and hand-drawn animation. The film is about a character named Shadow Stan, a shadow who is sick of being attached to Stanley Grubb, the world's most boring man. Unable to take anymore, he decides to break free and take control of Stanley. Hold on a second - did I just read an interesting and inventive plot description of a Dreamworks animated film? Correct me if I'm wrong, but this actually sounds like a pretty cool idea and if they mix the animation the way that I'm thinking they will - with the shadow world being traditional animation and the real world being CGI - it could be pretty exceptional. 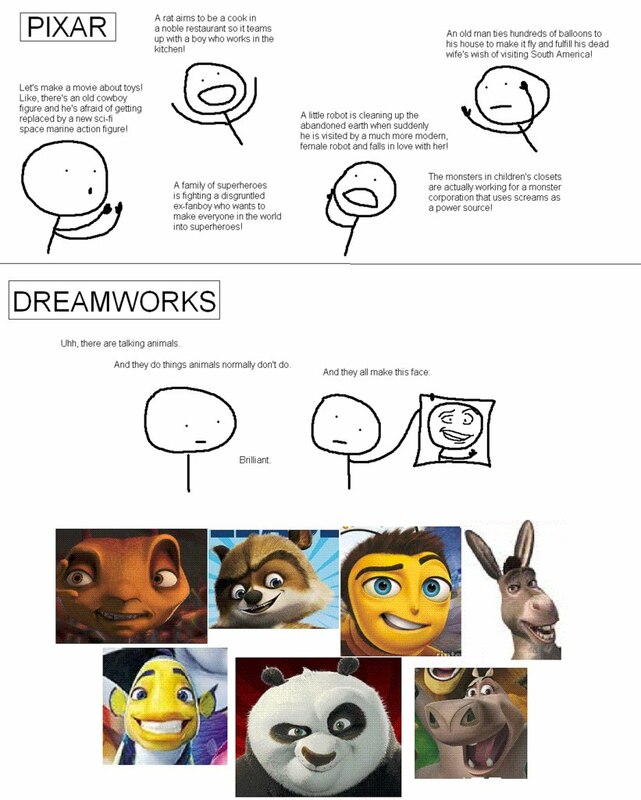 Now all they have to do is avoid the "Dreamworks Face" and they'll be all set.